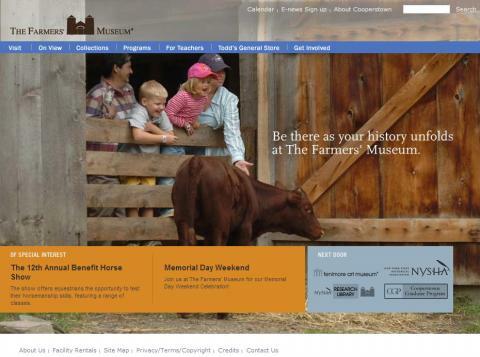 DPCI implemented the Drupal Web content management system for the Farmers' Museum and its two sister organizations, the New York State Historical Association and the Fenimore Art Museum. The Farmers' Museum, founded in 1943, is one of the nation's leading outdoor living history museums. 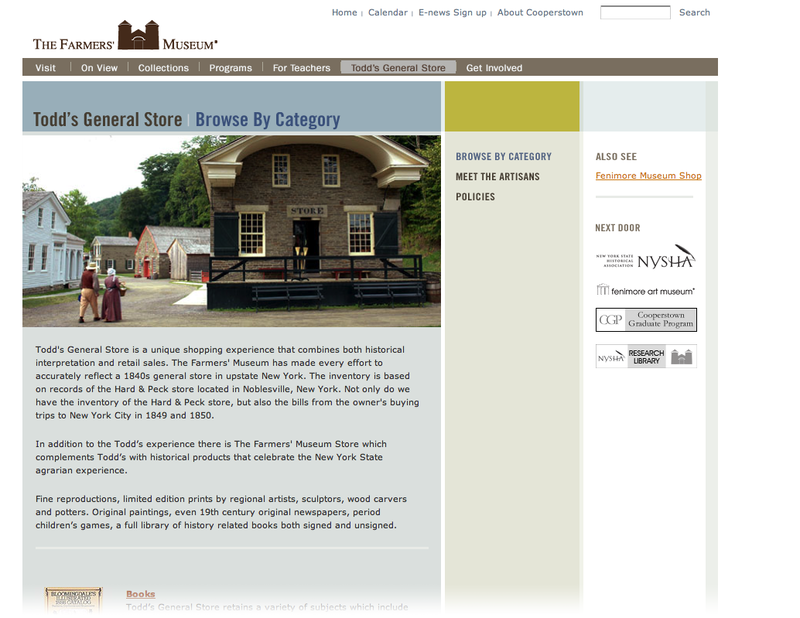 It recreates the rhythm of life in 19th century central New York State and houses an important collection of decorative arts, implements, conveyances, documents and architecture. 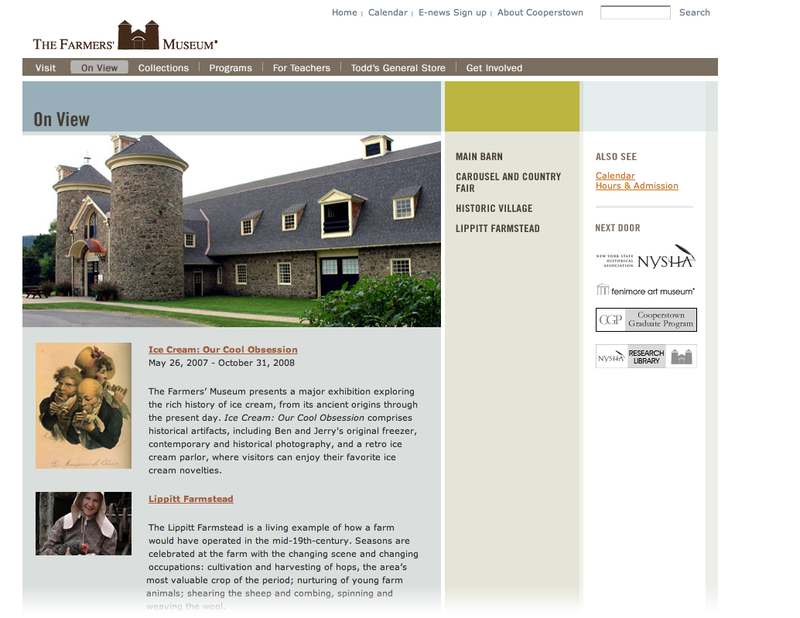 DPCI implemented the Drupal Web content management system for the Farmers' Museum and its two sister organizations, the New York State Historical Association and the Fenimore Art Museum. The system allows the collective to share content and operate a distance learning portal for online educational programs. 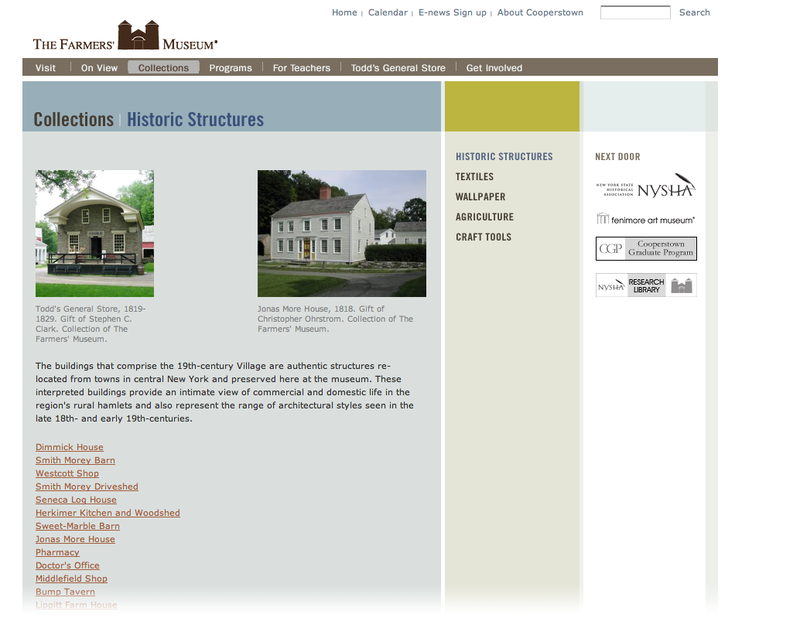 Drupal's multi-site administration capabilities allow NYSHA, Fenimore, and Farmers' to share content among the sites and sections in the appropriate theme. The system will auto-select the appropriate theme based on taxonomy, URL, or domain.